Mommas, kids, shopping and little feet! Did you catch the mampreneurs show this am on getting published? Good stuff – hosted by Marlynn Jayme Schotland founder of mampreneurs. A great, very informative show. That according to her web site. She also is hosting the second annual Mom Shop 2 on April 18, 2009 at the Oaks Park Pavillion. The event looks fabulous and she has great sponsors aka Metro Parent, NW Kids, Baby Boot Camp, Gaia, Pumpkin Noodle and Play Boutique. If you’re one of the first 75 in – there’s a swag bag for you. Don’t we love the swag bags? Doesn’t matter if they’re filled with hard-boiled eggs and rotten potatoes we’d still oooh and aahah over them. OOOOH look at that red one with the brown spats aaaahah! There’s a silent auction to benefit Schoolhouse Supplies and there will be retail SHOPPING and a fabulous spring family fashion show from local designers! Don’t you love the baby and kids clothes? My kids are grown ups (on a good day) but I still have to go and look at the baby shoes and the clothes and ooooh and aaahh myself. The Fashion Show will feature great clothes and accessories from local boutiques including: Pumpkin Noodle, Mister Judy, Meringue Boutique, Chirp & Tweet, Direction Accessories, Munchking Designs, Haggis McBaggis and more! Check out the Exhibitor List your own self. I do have to highlight one of the businesses though owned by my friend Brenna Burke who owns Clementine NW. 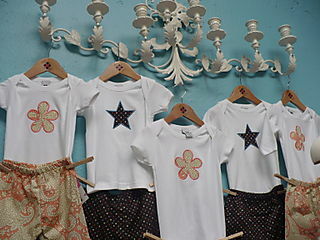 The site has adorable clothes, safe and educational toys, gifts for moms and is pregnant with possibility. OK I had to say it. How often do you get the chance to use that phrase??? I love her blog as well. She’s adopted the bloggers Wordless Wednesday’s with stunning photos and just a positive attitude and news you can use for moms. LOVE LOVE LOVE those baby feet! 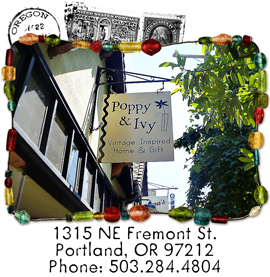 Tonight is lower NE Fremont’s Art Walk and Sidewalk Sale including Poppy & Ivy, County Cork, La Bodega, Acadia and Rerun and more. Lots of local artists … shopping, wine and appetizers at the stores/restaurants all located between 7th and 14th from 5 to 9 p.m. 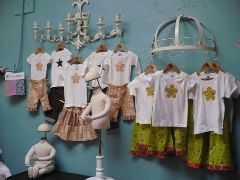 Speaking of Amy Holland at Poppy & Ivy on NE Fremont – she has added Violet’s Handmade Boutique featuring the “Kung Fu Bambini” line of children’s clothing. Hollands says the “store-in-a-store” kids couture clothes from size 0-3 months are “ridiculously cute.” “Her adorable baby clothing including tee’s, cloche hats, booties are made from chenille as well as other fabrics and they sell in four other countries! 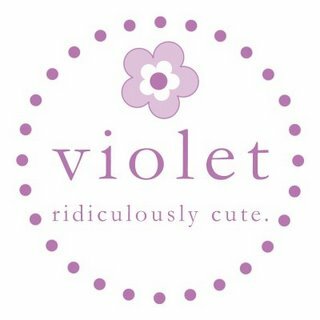 Check out the sale tonight and Violet Craft’s (yes, how could she not be a DIY’er with a name like that?) web site as well. Check out some of the adorable outfits she has in stock.